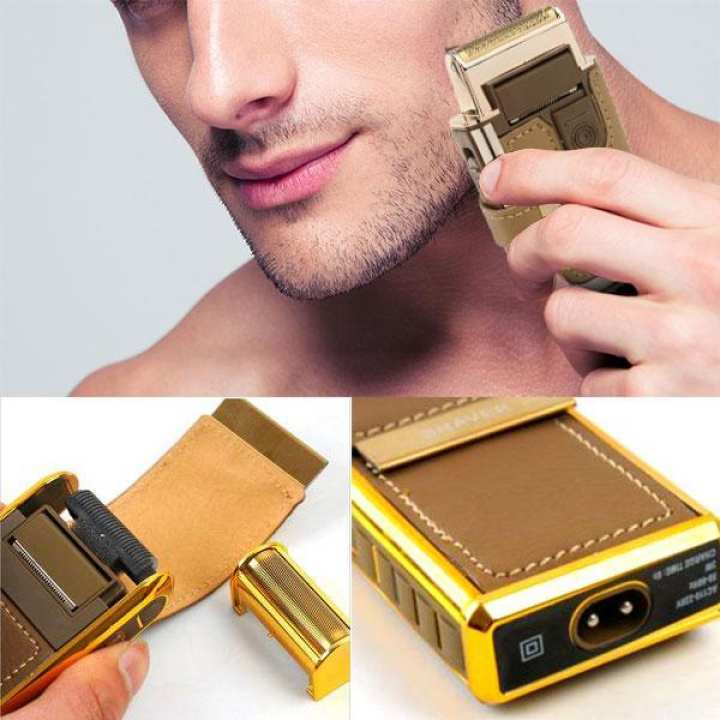 1 section reciprocating electric razor, make you clean faster, easier and more effective. According to facial contours spiky head, and close to the face, so you have to shave more veneer more comfortable feel. 2, automatic grinding blade knife net. Razor at work, hard alloy blade and grille constantly grinding, can keep the blade sharp. 3, this section for the first time, please charge 8 hours in use, half time interval if you do not use, be sure to charge 8 hours before use, to ensure no loss of rechargeable battery power to maintain battery capacity, so only before ting long razor life. 4, section razor battery (1.2V) recharged 500 times, the capacity remains unchanged. 5, this section is a high-speed silver palladium razor motor, long life, noise at the end, power, vibration light. 6, comes with a mirror, at any time can know whether the beard has been shaved. Its a good item but when I checked it first the trimmer which has in a side of the item was not worked.After few hours I touched the blade of the trimmer. so it was begun to work.However now it is working.But I suggest please re-check your selling goods because this is electric item.